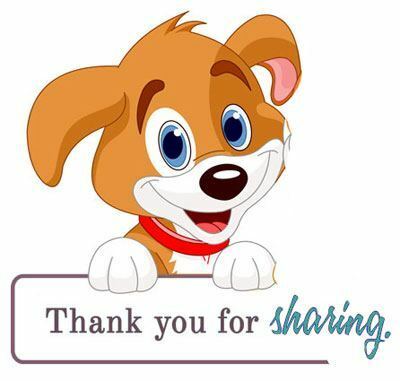 For most owners, a beloved dog is another part of the family. While their lives are fairly simple, dogs are fully capable of having the same complex﻿ ﻿﻿﻿﻿﻿emotions as humans. Though they can't speak for themselves, they display characteristics that let owners know exactly how they're feeling. It's important to keep these furry pals happy to ensure that they stay active and healthy. But exactly how do you know that they're happy? Dogs can communicate their emotions a number of different ways. It's the owner's job to keep an eye out for these telltale signs. Knowing how to read a dog's emotions will help keep them happy and strengthen the bond between owner and pup. Happiness is generally an easy emotion to spot. Dogs can get very excited at the simplest things. 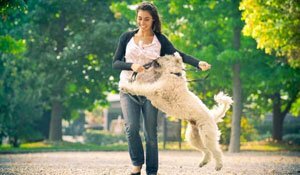 Aside from the obvious over-excitement and tail wagging, there're a few ways to tell if the dog is happy overall. Here are 5 signs. Dogs require much more sleep than humans. While short naps occur throughout the day, a happy dog will predominantly sleep at night. Not only that, but they'll sleep well. A dog's ability to lay down and drift off into dreamland is a great sign of their emotions. Happy dogs will find a spot and start sleeping straight away. They'll remain sleeping for a l﻿﻿﻿﻿ong period of time rather than getting up and finding new spots frequently. A carefree night of sleep indicates that they're not stressed about a thing. When they wake up, they should be energetic, alert, and playful. Contrary to popular belief, not all dogs will chow down on anything they see. A dog's appetite can be a sign of how they're doing emotionally. Healthy dogs will eat well. They'll be excited over every meal and gobble it up with no problems at all. If they start skipping meals or become picky at the food choice, they may be sad. It's important to monitor their food intake. 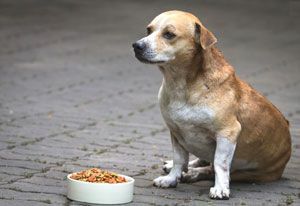 Dogs with no appetite may be suffering from a medical condition or simply from sadness. Dogs are social creatures by nature. They view their owners and families as part of their pack. They should want to spend time with their pack. Wanting attention is a great sign of happiness. It means that the dog isn't worried about something else. They want to enjoy some time with their family. While some breeds aren't as social as others, generally, dogs will seek attention. 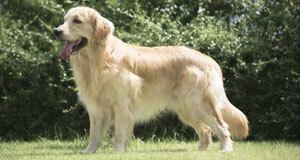 They'll greet owners excitedly as they come home from work and want to play immediately. The condition of a dog's hair says a lot about what they're feeling. Their hair is known to stand on end when they are tense or scared. Similar signs are used to display happiness. A happy dog's fur will be relaxed and healthy. They'll also shed a normal amount. While different breeds shed varying amounts of hair, most dogs routinely shed throughout the year. When a dog is stressed, they may shed more regularly. Balls of fur will fall out in between normal shedding periods. Owners should always monitor their shedding and examine the condition of their fur. A dog instinctively uses its entire body to communicate. There are a plethora of ways to see that the dog is happy by looking at their body from head to toe. A dog's posture should be relaxed and comfortable. Their eyes shouldn't be opened too large or shut tight. The mouth should be slightly open. Some dogs even appear to be smiling because they're comfortable and happy. Even the ears can be used to determine emotions. Most dogs pull their ears back when happy or leave them completely relaxed. 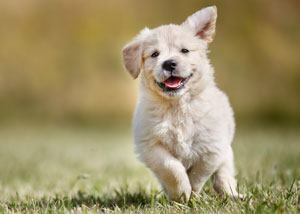 Overall, a calm and relaxed body means that the pooch is living cheerfully. Much like humans, dogs can become sad and depressed. They can cry and mope around, displaying a completely different personality than normal. This unhappiness can stem from a variety of issues, including health concerns or a death in the family. Either way, seeing these 5 signs is a cue to get the dog checked out by a vet. Normally, dogs should want to be around their families. 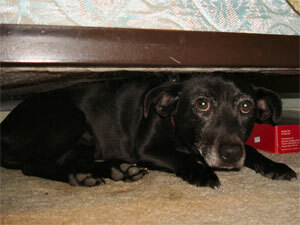 When a dog begins to avoid people and hide, they may be experiencing emotional stress. Unhappy dogs will find places to be alone. This includes closets, underneath beds, and anywhere else they can get. Some even sit and face a corner. This behavior should be addressed as soon as possible. They could be doing it because of health issues they are concealing. If not, it's a big sign of depression. Licking the paws is a pretty normal behavior. However, when it becomes excessive, there may be a reason the dog is doing it. The behavior is a kind of coping mechanism, similar to that of people twiddling their thumbs or biting their nails. Essentially, the dog is trying to soothe itself and get comfortable. They're not paying attention to whatever is causing them stress, instead latching onto this behavior to manage their feelings. While it's not inherently dangerous behavior, it's a psychological issue that needs to be dealt with. Some dogs avoid eating altogether. They may start to skip meals because they lose interest in the food, leading to weight loss. Weight gain and loss isn't healthy for a dog. 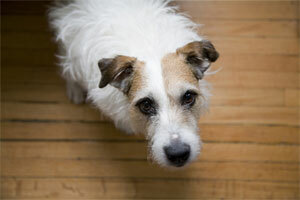 Unfortunately, changes in appetite are far too common among unhappy dogs. Some dogs avoid eating altogether. They may start to skip meals because they lose interest in the food, leading to weight loss. Others find comfort in food and use it to deal with their sad emotions. They'll over-eat and gain weight. Either way, dramatic changes can cause serious harm to the dog's overall health. It's important to take the dog to a vet to get the dog back on track. Like with humans, lethargy is an obvious sign of sadness. While they do sleep a lot, too much sleep isn't good. If a dog continues to sleep even after the owner gets home from work or wakes up in the morning, it shows that the dog has lost interest in getting up. 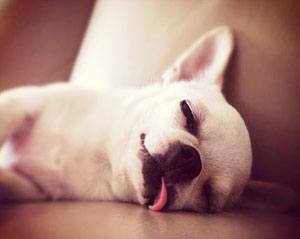 Unhappy dogs will not want to partake in much activity, instead opting to lay and sleep throughout the day. The enjoyment they once had for walks, toys, and play will be gone. Whining or crying is common among unhappy dogs. It's one of the few ways they can communicate their feelings verbally. The whining doesn't have to be loud at all. In fact, most dogs will avoid whining loudly around owners because they were taught to not bark in the house or want to avoid showing signs of weakness. Owners may hear soft whining at night. This behavior shows that they are in pain, either emotionally or physically. If it occurs excessively, it's a good idea to get the dog examined by a professional. Essentially, dogs wear their emotions on their sleeves. They don't hide them, so it's easy for owners to know how they're feeling. Happy dogs are healthy and full of life. Owners should strive to keep their dogs in this condition at all times. When they begin showing signs of depression, it's important to get them professional help from a vet while showing them love and affection.